Nestled in the heart of San Pasqual Valley, lined by beautiful old eucalyptus trees, overlooking the vineyard & mountain side this hidden historic gem will take your breath away. Adorned with rustic cabins and vintage splendor, The Ranch is bringing back the old-world charm and frivolity of the 1920s to assure you a roaring good time! 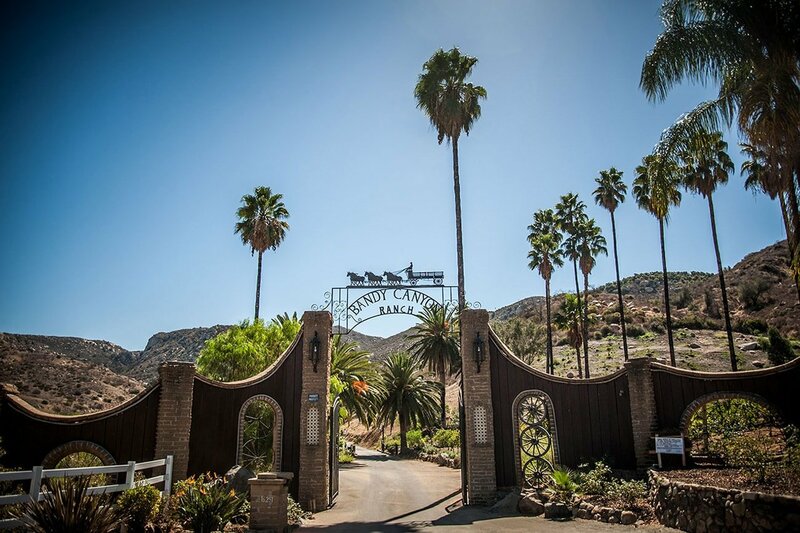 Spanning over 144 acres, Bandy Canyon Ranch is nestled in the heart of San Pasqual Valley. Set deep in Bandy Canyon, this Southern California ranch is adorned with rustic cabins, a dramatic pool for lounging and entertaining and an authentic 1930’s adobe lodge with two kitchens, antique stoves, and multiple fireplaces. A charming terrace and wedding ceremony site are also available for wedding ceremonies, receptions, and special events.